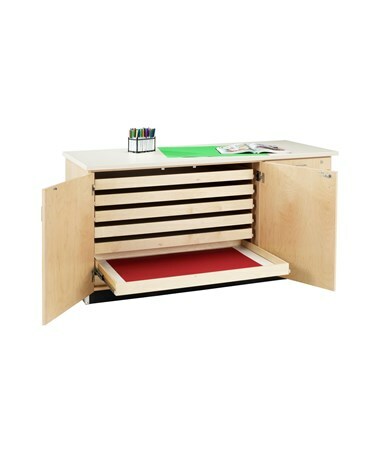 Keep all your papers organized and secured with the Diversified Woodcrafts Paper Storage Cabinet. 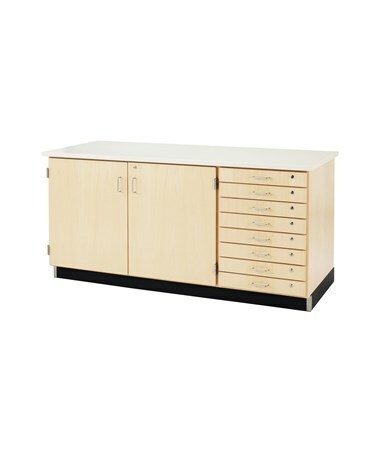 It features seven pullout shelves behind two locking doors with an inside dimension of 42-15/16"W x 26-1/4" D ideal for storing blueprints and oversized paper. It also comes with eight drawers giving you ample storage for photographs and art projects measuring 19-15/16"W x 18" D on the inside. The Diversified Woodcrafts Paper Storage Cabinet features solid maple and maple veneers construction. 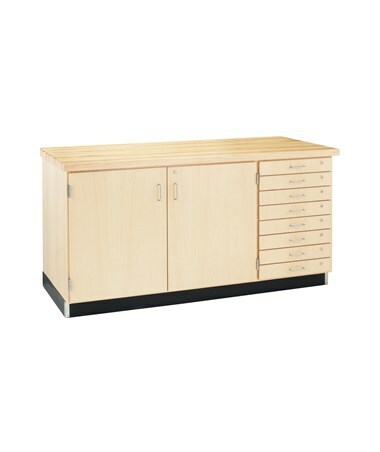 The drawers are fully dovetailed for long lasting durability and also includes locks to keep the item stored safe and secured. A flat surface top is also added to serve as a work surface available in 1-3/4" thick maple or a 1-1/4" almond plastic laminate. 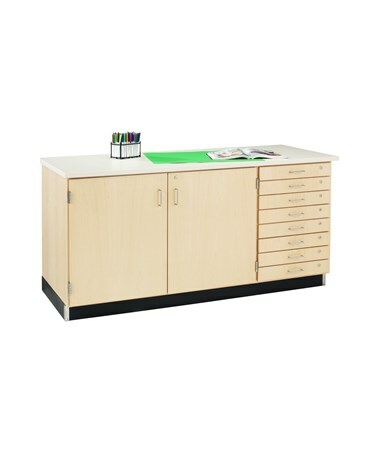 This file cabinet from Diversified is finished with an earth-friendly UV finish and comes with a rubber base molding. It has overall dimensions of 72"W x 30" D x 36-3/4"H. Made in the U.S.A., it is SEFA compliant and MAS Certified Green. 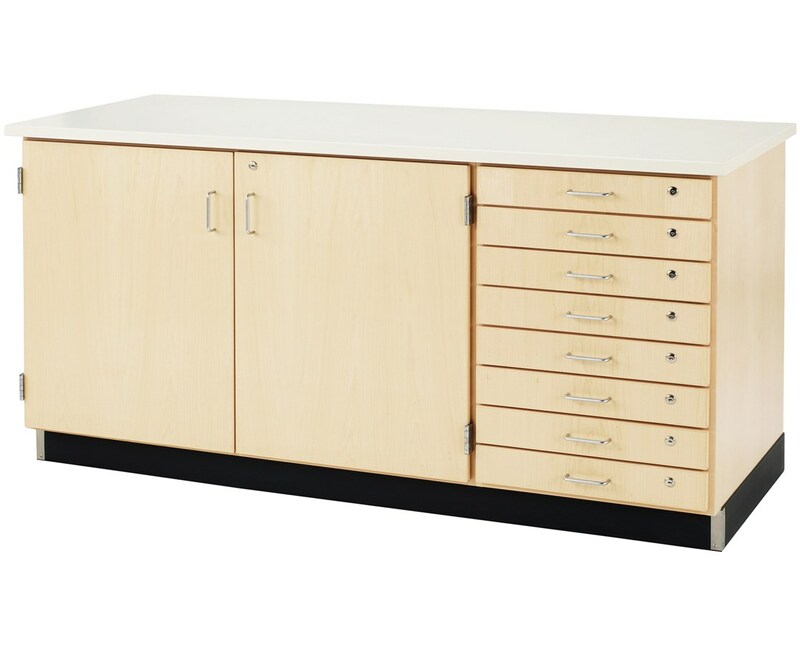 The Diversified Woodcrafts Paper Storage Cabinet is backed by a limited lifetime warranty. This cabinet has an unfinished back and is meant to be against a wall. 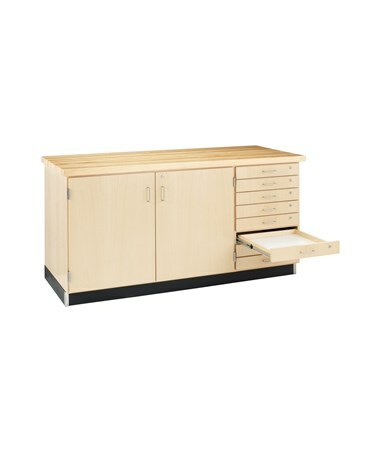 The Diversified Woodcrafts Paper Storage Cabinet is available in two different top thickness & material. Please choose from the drop-down menu above.